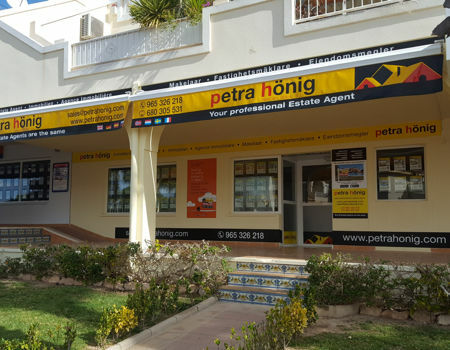 If you are looking for a fabulous destination to spend the rest of your vacation or retirement and also, what you want to accompany with a quality home, our real estate agency has the pleasure of presenting our resale villas in Villamartin - Orihuela Costa. It is about villas with all kinds of details that will surprise you and that will fulfill the pleasures of your loved ones. With our second hand villas in Villamartin - Orihuela Costa you will not have to worry about the lack of space for coexistence. Thanks to its properties with ample living space, your relatives can enjoy their intimate spaces without anyone disturbing their enjoyment. Many of our villas offer different areas to enjoy as a family, such as the pool. Being able to enjoy a private pool, you can cool off in the hottest months of the year. Have fun with your children splashing and swimming at all hours. What more qualities do our resale villas contain in Villamartin - Orihuela Costa? The terraces are other of the wide areas that our resale villas have in Villamartin - Orihuela Costa and that you will be able to exploit to the maximum with your relatives. Many of our terraces are accompanied by beautiful gardens for your family to run or to surprise your guests with a spectacular family meal. Thanks to the incredible climate that makes in Orihuela Costa (Alicante), you can carry out all the festivities that you want outside of your home. Another of the qualities of our resale villas in Costa Blanca South are its views of the Mediterranean coast. If you want your home to have a beautiful landscape by the sea, some of our villas offer it to you. If you are willing to buy a property, do not hesitate twice to share your life with your family in one of our resale villas in Villamartin - Orihuela Costa. 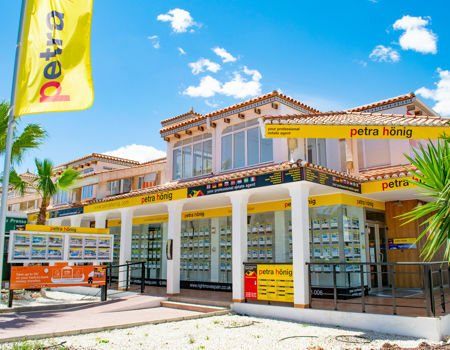 If you want to hire one of our villas, come to our Villamartin office, located in Villamartin Plaza, Av. 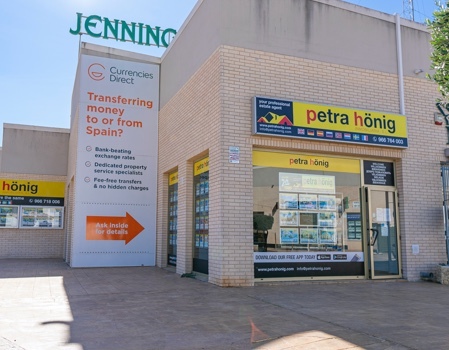 De las Brisas 6, Local 26, 03189 Orihuela. 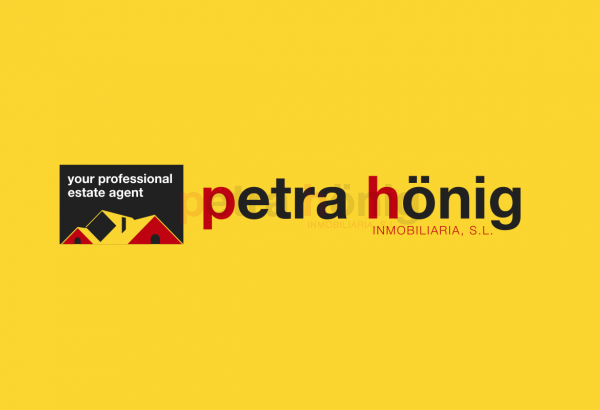 If you prefer to talk in advance with our real estate agents, you can call them at (+34) 966 764 003, or send them an email to info@petrahonig.com.